Passenger journeys in 2015-16 Q1 reached 412.5 million, a 4.7% increase on the same quarter last year. London and South East sector accounted for 70% of all journeys in Great Britain in Q1. Season ticket journeys (169.6 million) accounted for 41.2% of all franchised passenger journeys and showed the highest growth of all ticket types this quarter compared to 2014-15 Q1 with 5.7%. Much more of interest to pick over in this report. If this rate of increase carries on, and I believe that it will*, then capacity is going to be an increasing problem. IMO this needs to be addressed by both longer trains and by infrastructure improvements to allow more frequent services. The new IEPs will provide SOME relief from crowding PROVIDED that the existing rolling stock thereby displaced is retained and used on other routes and not scrapped. Elsewhere on these forums I have opined that too many of these new trains are too short, I stand by such remarks and feel somewhat vindicated by the significant increase in passenger numbers since the length and design of the new trains was more or less finalised. Provided that the new trains work as reliably as is hoped for, I would hope that early consideration be given to lengthening them. 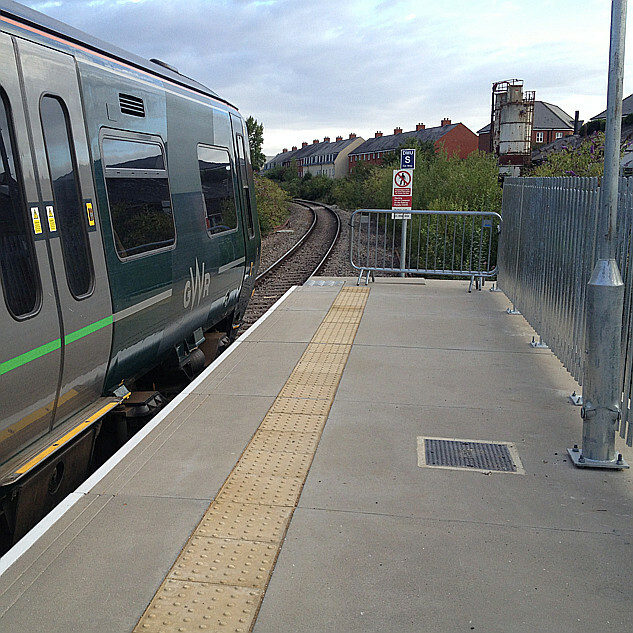 Providing even more short trains may not be the way forward, partly due to lack of paths. However lengthening some of the 5 car sets to 9 or even 10 car will hopefully be considered. Lengthening 5 car units to 6 or 7 is IMO not such a good idea as it restricts multiple operation. In the longer term I suspect that major infrastructure work will be required in order to allow more paths and/or longer trains. I hope that such possibilities are being considered already, in view of the time it takes to deliver them. *For an estimate of future passenger numbers, look at the birth rate ! or at the entire population figures including young children, rather than at only the ADULT population. Tomorrows potential rail passengers have already been born ! Providing even more short trains may not be the way forward, partly due to lack of paths. For this reason I fear we are now locked into the inadquate 5-car sets we are to be lumbered with. They appear to have been ordered on the basis of some multiple operation, so if you lengthen some you free up some sets which were previously coupled to others (but probably not enough to cascade the released ones elsewhere). As well as believing that not enough new coaches have been ordered for GW IEP, I believe that too many driving vehicles have been specified. And that could be a more difficult problem to solve than getting the extra intermediate coaches I feel will be needed. I do believe you may have mentioned this one or two (thousand ?) times before. I also recall that others have put forward the view that you might be mistaken in this view. Whatever the case there is nothing we can do about it. We can only wait and see what happens. DfT (speaking for the IEP programme) described the bimode trains as 10-car trains that can be run half length on less busy services. There was an implied promise that every service that needs 10 cars will run at that length. There are a lot of members of this forum who don't believe there are enough of them to achieve that, even on the current timetable. But the services in the new mini-franchise already show an increase in the number of 10-car services over the IEP planning timetable, and further increases in demand are to be expected. So what do you do if - no, when - you need more units than the contract gives you, firstly on the odd day and then (a bit later) on every day? Run short overcrowded trains and pretend the SET fleet was never meant to be big enough? Bring out some of the better HSTs that you hid at the back of a shed without telling anyone? Wait a year or two (to make sure SET works, and wasn't a huge mistake) then bang in a request for an increase in the fleet size? And how long before this happens? There are enough SET carriages to allow us to replace a single HST with a 10-car or a 9-car. A nine-car SET has 576 standard seats, and a 10-car will have 580. Both compare well to the 504 on the biggest HST today. He made no attempt to answer the main question, which was about future growth of demand. That didn't surprise me at all; I'm sure he's been well trained by corporate comms in not answering questions. I don't think DfT ever released any of the technical reports that would explain the various decisions made about the IEP requirement and the contract, hence they get accused of not having any good reasons at all. I'm sure that isn't true, and there was a reason for, for example, saying that the 10-car bi-mode trains have to be built so only half a train is used when passengers are scarce. I suspect it was to do with not burning diesel for purely air transport, and the relevant committee convinced itself that the adverse effects of that (which are many) were worth it for that benefit. I disagree, and so may you, but that's another matter. Those missing reports should also make explicit what is now only alluded to indirectly: that all bi-mode services that need it are to be 10 carriages long. Perhaps DfT never wanted to bind themselves publicly to that objective, given that it is such an obvious homing chicken. I recall at TravelWatch Southwest several years ago Chris Irwin and others expressing concern that rail planning for stock / infrastructure allowed for growth of up to x%, but that historic growth was higher than this (y%). The questions asked were "will this growth continue" and "is it being allowed for"? My understanding of the official view was that it would appear to be profligate / wasteful if the planners provided facilities for continued y% growth when it wasn't sustained, and ended up buying trains and track capacity in excess of what was needed. 3% compound historic growth is said to be ^towards the high end of the rates of growth in long distance rail journeys experienced over the last 10-15 years.^ Compound annual growth in most parts of the SW over the last 9 years are at least double this. TWSW hope that the final LDMS will have greater awareness of SW historic growth. The concern is that projected growth may not have the benefit of this historic view. With growth only shown for one principle centre it is hard for TWSW to assure itself that projected growth in the SW is reasonable. 504 passengers on an HST in 2015 would rise to 677 on a replacement train in 10 years at 3% compound growth, and to 910 passengers in 20 years. 504 passengers on an HST in 2015 would rise to 877 on a replacement train in 10 years at 5.7% compound growth, and to 1527 passengers in 20 years. While the steady and welcome growth in passenger numbers will be a general problem nationwide, here on the Western, we'll have both Crossrail and what was once called the Paddington Suburban Electrification (or PSE for the acronymn list). There will be a lot of long emu formations with better point to point timings ("sparkling" as O S Nock used to say) replacing mostly 3-car turbos. These should remove the bulk of the medium distance commuters like me, from the IC services. My only reservation is whether they can all be pathed through the main and relief line system, without loops. Very true, think Reading-Newbury, which is often a 2-car 165 currently, being replaced with at least a four (and maybe eight) car EMU. Just the little issue that they need to get the wires up first! Or put batteries in them, charge them from London to Reading and run them on to Bedwyn ... nah - the batteries wouldn't last. Electric to Newbury then battery to Bedwyn? Out of curiosity, and having to stand on the 1641 Gloucester train from Temple Meads every night, I wonder what impact on growth the rail network would experience if there limits on standing in carriages existed. I know it has been discussed many times, but unrestricted growth without the infrastructure is not safe and should not be allowed. For the past few weeks the 1641 to Gloucester from B-TM is two carriage, hand has had 30+ people standing per carriage. Certainly not a record, but certainly not safe! For the past few weeks the 1641 to Gloucester from B-TM is two carriage, hand has had 30+ people standing per carriage. Certainly not a record, but certainly not safe. Why is it not safe? Given the railway's record on safety, and the efforts over the last 20 years to minimise accidents, do you think that it would be allowed if there was a risk? How would it not be allowed? How many trains have you seen on which boarding is controlled, even in situations of horrendous overcrowding? There have been recent incidents of customers losing control of their bladders as trains have been so crowded as to prevent them getting to the toilets, but the line from GWR is always that overcrowding doesn't prevent a risk to H & S, no matter how many wedge themselves on board. simonw said "certainly not safe". I regard safe as "no threat of death or injury". What you describe is certainly unpleasant, and I wouldn't want to be on such a service. But I wouldn't regard it as unsafe.